NOTE: Script Debugger 4 and 4.5 have been superseded by Script Debugger 7. You can download the last Script Debugger 4 and 4.5 builds from the Archives section of our Support page. 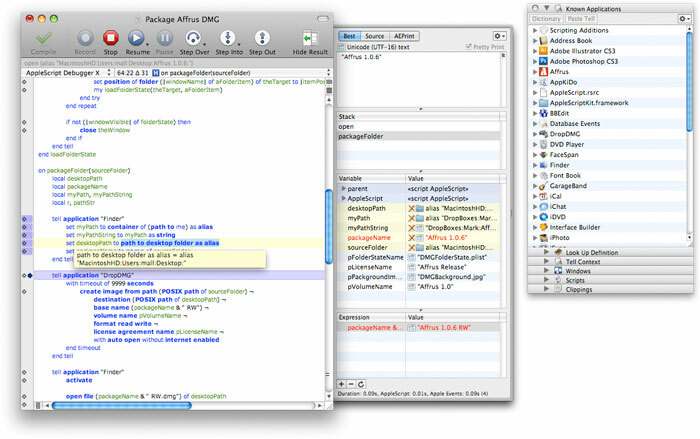 Download the Script Debugger 4.5 Help Book in PDF Format.